Lacey Township, located in Ocean County, New Jersey is considered part of the Jersey Shore. Lacey Township is compassed of the areas of Forked River, Lanoka Harbor and Bamber Lakes. This 98.5 square mile community is home to 25,346 residents. The city was formed in March 23, 1871. With close proximity to Long Beach Island and Atlantic City, residents can easily access fine dining, parks and beaches whenever they want to. Lacey Township is vast in size and rich in natural resources. Lacey has experienced a rapid growth in recent years with the addition of many new developments and new stores being built around town. You can get more information about the Real Estate trends for this and other areas of New Jersey by sending me an email today. The links below will lead you to the condo sites created and hosted by our team of real estate experts. 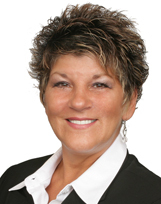 Please feel free to contact Pattie Romano today for more about your real estate needs. Students attending public school for grades K-12 in Lacey attend Jackson School District. This consists of the elementary schools (K-4), Mill Pond School (5-6), Lacey Township Middle School (7-8) Lacey Township High School (9-12).